The only complete overview of the world's decentralized gaming market. Striving to open new horizons for your business using blockchain technology? Or kick-start a new business model in the growing DGaming market? Our free monthly subscription makes all these things more straightforward. A 30+ page report that examines the latest trends, developments, and market forecasts on a global and regional scale. 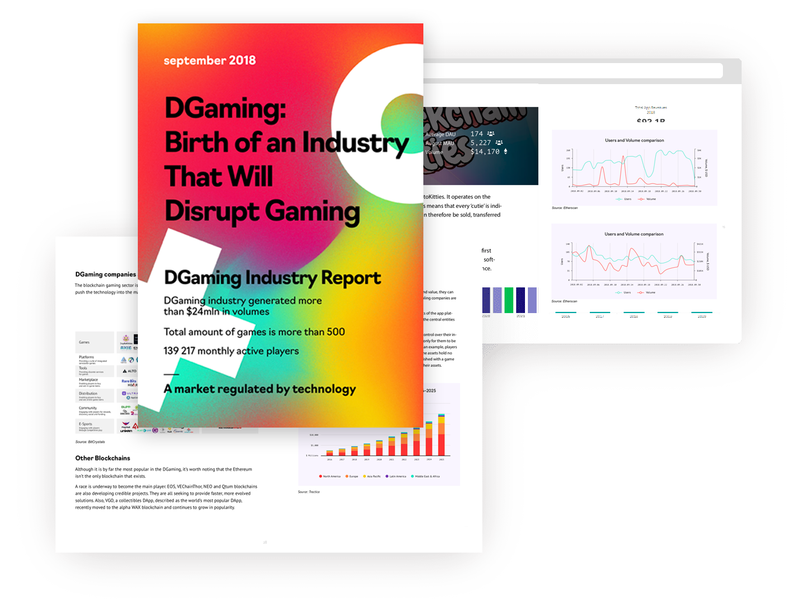 Monthly update (PDF) detailing the latest developments in the DGaming market and the Industry Pulse®. Access to our research which explains potential market growth & decline on a granular level, allowing you to deeply understand the market mood and its drivers.